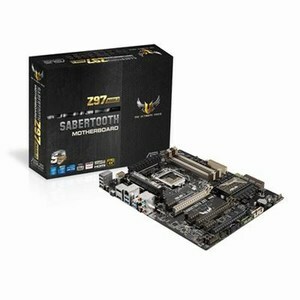 SABERTOOTH Z97 MARK 2 motherboard with TUF Components is certified for tough duty. TUF motherboards undergo extreme temperature variations (thermal shock), extensive Mean Time Between Failure (MTBF) test and many whole-build server-grade stability tests — so you know that your TUF motherboard can be trusted in all conditions. TUF ESD Guards are tested to standards that are up to 2X higher than industry standards, ensuring electrostatic discharges are properly grounded from all on-board connectivity — and that means greater component longevity. TUF Audio Design makes short work of optimizing audio settings for the way you want to listen, chatting, watching movies or relaxing to your favourite music.